Diamond Chips are casino size, made of clay composite material, and weigh 8.5 grams. Choose from 13 different colors including: black, blue, brown, burgundy, gray, green, light blue, orange, pink, purple, red, white, and yellow. 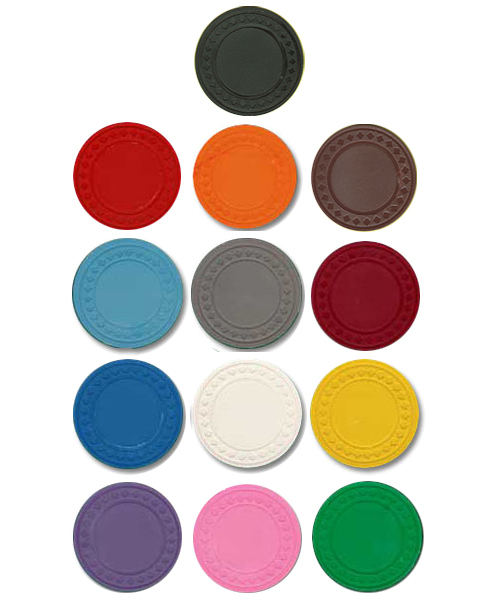 These quality Poker Chips are in stock for immediate shipment. Note: These Poker Chips are not available custom-imprinted. Only blank 8.5 Gram Poker Chips are available. The minimum order for stock Diamond Chips is 25 Chips per color.